Dance is a song to life, for us to dance is to live. 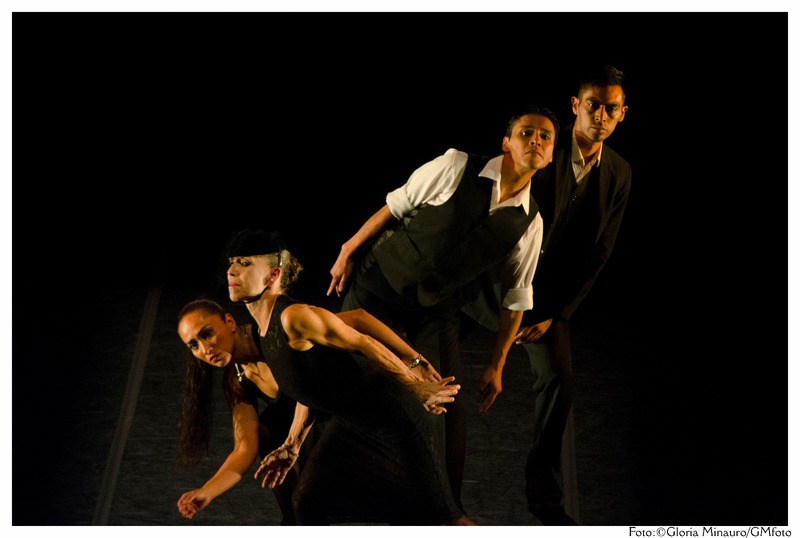 We are a modern stage dance group. We believe that our works should be presented with all those elements the allow us to create and show the magic of art and of the theatre. Our language is constructed from movement that is born form visual and musical images. 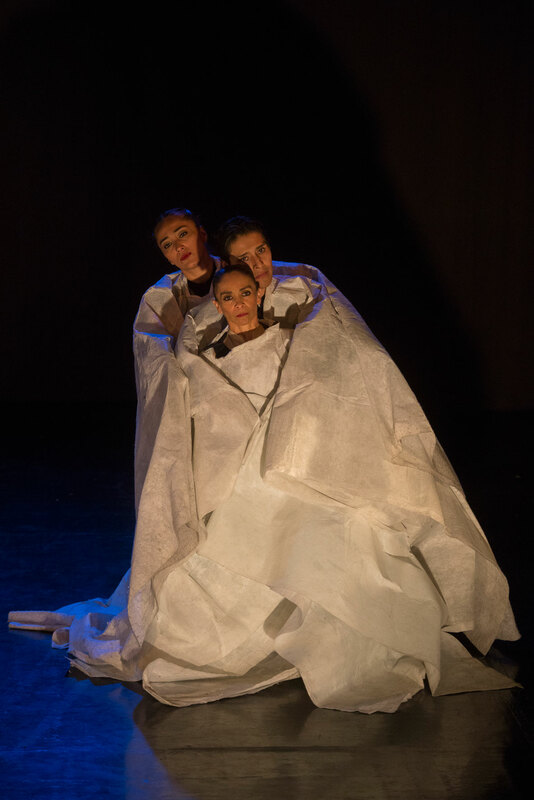 Nemian is a word from nahuatl(Aztec) origin whose meaning is the road of life, This defines us because we bring to the stage our life experiences and we do so by adding the personal investigations of each member of the company. Directed by Isabel Beteta, our works are characterized by an aesthetics based on the creation of poetical images and on the use of diverse objects and materials that have symbolic value and help create interesting new movement and compositions. 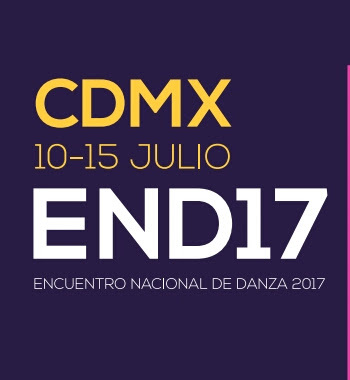 We have invited different choreographers both national and international such as: Darryl Thomas (USA), Natsu Nakajima (Japan), Rodrigo Fernández (Chile), Allen Kaeja (Canada), Katsura Kan (Japan), Rea Volij (Argentina), Duane Cochran and Oscar Ruvalcaba (Mexico), among others. This experience has made us a versatile company open to new ideas, themes and techniques. 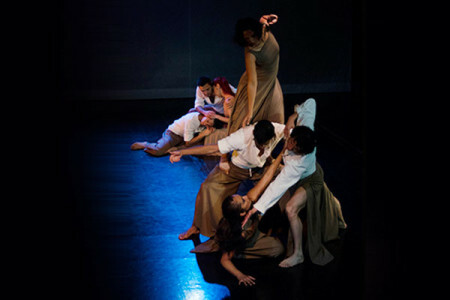 The company was born in 1993 as a small chamber group with the piece that gave the company it’s name. For this piece we received the grant from the Mexican Fondo Nacional para la Cultura y las Artes FONCA in the year 1993-4. Every year we premiere at least one new choreography. We have shown our work in the most prestigious stages of Mexico City such as: the Palacio de Bellas Artes, Sala Miguel Covarrubias of the Centro Cultural Universitario de la UNAM, Centro Cultural Los Talleres A. C., Teatro de la Danza, Teatro Raúl Flores Canelo y Teatro Diego Rivera. We have toured in Ecuador, Perú, Colombia, Canada, Cuba, the USA, Germany, Ireland, Bulgaria and Italy. 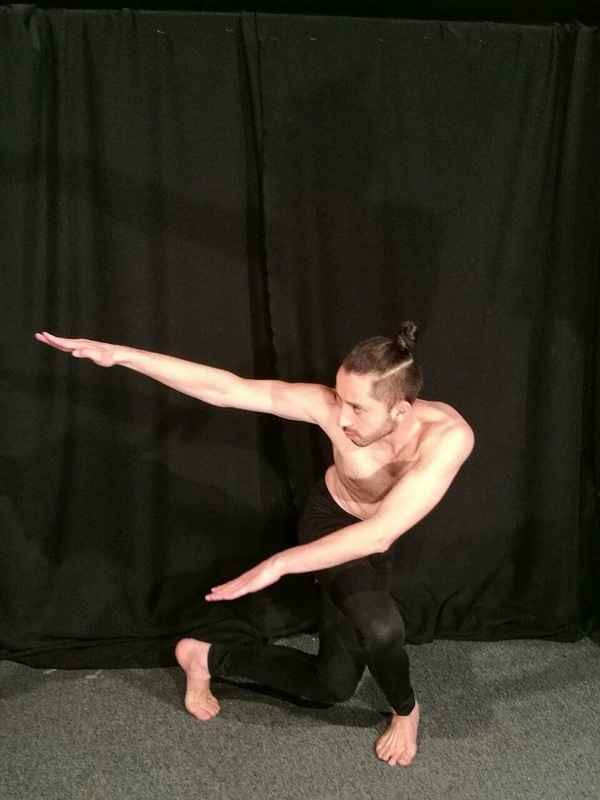 Nemian repertoire has choreographies both short and long. Some were created by the companies members, some collectively, other were created for the group by guest choreographers both from Mexico others from abroad such as those mentioned above. The repertoire is constantly being renewed. interculturales entre estos dos países. Con la asesoría de Katsura Kan, nos basamos en el movimientos del TEATRO NOH, mismos que fueron fuente de inspiración para el propio Yukio Mishima creando la tetralogía en la historia de LA CORRUPCIÓN DEL ÁNGEL. de la Tradición japonesa donde los seres celestes existen. Viernes 13, de Octubre, 20hrs. Sábado 14, de Octubre, 19hrs. Domingo 15, de Octubre, 18hrs. Viernes 10 de noviembre, 19hrs. Jueves 16 de Noviembre, 2017 Todo el día. Viernes 17 de noviembre, 19hrs. Av. Hermenegildo Galeana #2, Centro, 62000 Cuernavaca, Mor. 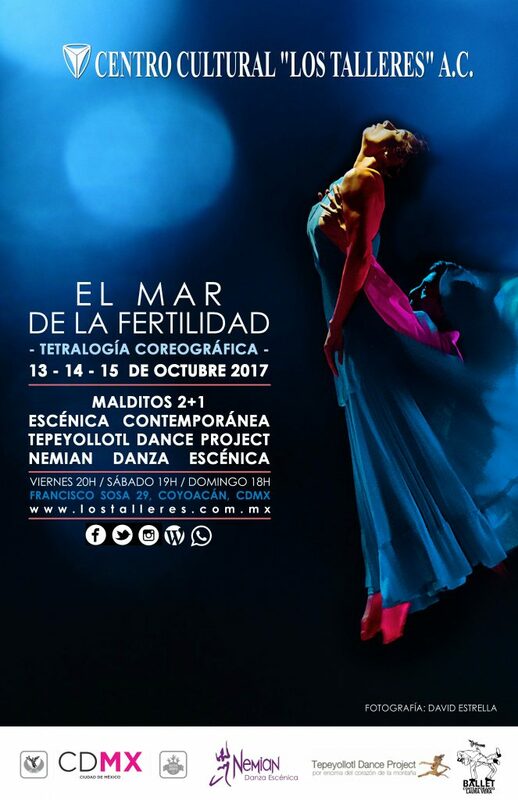 Checa la cartelera y asiste a ver danza!! Función del viernes 4 de agosto de 2017. Función del Miércoles 9 de agosto de 2017. En Centro Cultural Los Talleres A.C. 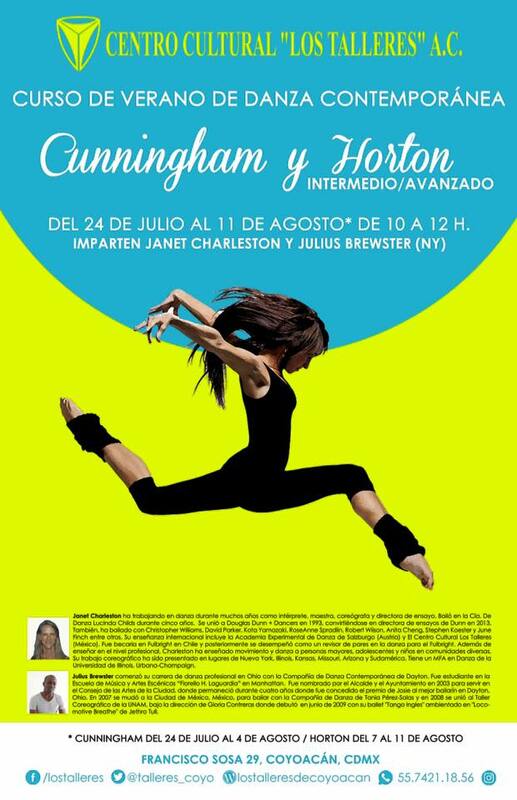 Ya viene el #CursodeVerano en #LosTalleres del 24 de Julio al 11 de agosto se impartirán clases de técnica Cunningham con Janet Charleston y Horton con Julius Brewster. viernes 2 de junio, 19 hrs. ; sábado 3, 13:00 y 19:00 hrs. ; domingo 4, 18:00 hrs. viernes 9 y 16 de junio, 20:00 hrs. ; sábado 10 y 17, 19:00 hrs. ; domingo 11 y 18, 18:00 hrs. Fechas: viernes 2 de junio, 19:00 horas: sábado 3, 13:00 y 19:00 horas; domingo 4, 18:00 hrs. Fechas: viernes 9 de junio, 20:00 horas; sábado 10, 19:00 horas; domingo 11, 18:00 hrs. 10 DE MARZO DE 2017 a las 19:9hrs. Plaza de la danza, 19 de marzo 13:00-13:30hrs. Del 10 al 22 de abril de 2017. He graduated from the National School for Dance “Danza Nellie y Gloria Campobello” with a bachelors in dance education, oriented toward modern dance. At the same time he studied at the Professional Studio for dance “World Beat” with Lashaun Prince and Rob Rich, also taking classes of hip hop jazz and ballet, at the “Black Studio” of hip hop, jazz, and ballet. In the” Danza la Cantera” breaking and release. He updated his hip hop at “Crazy” with Edgar Junuem, Mario Cuesta Karina Celis and Adrian Rivera. he studied Graham and Cunningham techniques with Stephanie Tooman. 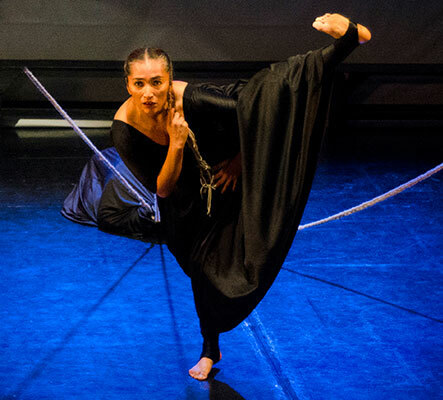 She earned her bachelors degree in modern dance at the University of Veracruz in Jalapa. At the same time she danced with independent groups: “Fragmentos” (dir. Esther Landa). From 1999 till 2004 she became part of the company “Ballet Independiente Raul Flores Canelo” (dirección Magnolia Flores). She was founding member of the company “Tierra Independiente”. She has worked with the following choreographers: Duane Cochran, Lorry May, Lidya Romero, Alejandro Schwartz. She has received the recognition as the best dancer in 2000. She currently dances with Nemian Danza Escénica. 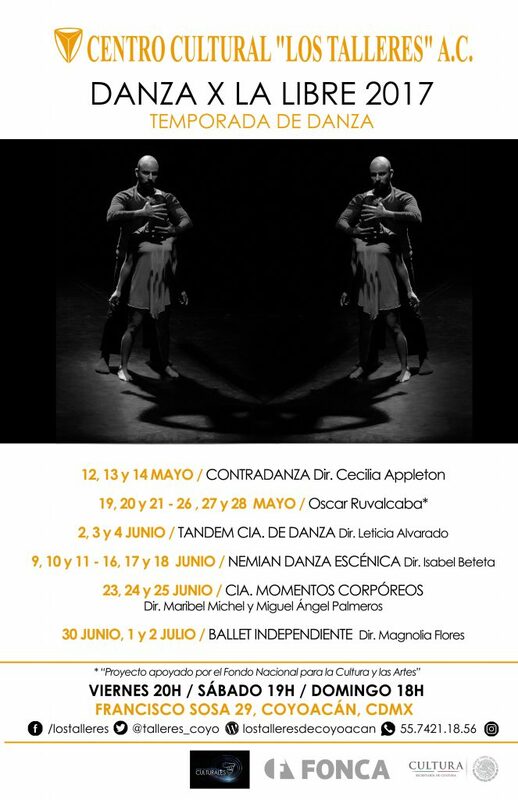 She has been a teacher at the University of Veracruz in 1998, teacher of contemporary dance in the school of Ballet Independiente 2003-2004, currently she teaches at the Academia de la Danza mexicana INBA 2004-2008. He studied in the Ballet Folklórico of México and graduated as teacher in that field in 1992. At the same time he worked with the Experimental Group del Ballet Folklórico de México. In1992 he entered the special groups of the National System for profesional Dance INBA. His studies include : Graham y Ledder, Classical ballet (Russian and cuban schools), Mexican and Latin Folklore, Jazz en técnica Luigi. In addition he studied the Cuban technique of modern dance in Havana, Cuba. In 1993 he is appointed director of the Ballet Folklórico Mexiquense of the Secretary of Education (S.E.P. ). He has worked with the following companies: Danza Contemporánea Universitaria bajo Dir. Raquel Vázquez in 1993; in Ballet Independiente in 1997, where he earned first place as best dancer in the XVI competition of 1997. He has taught the classes in various dance disciplines. 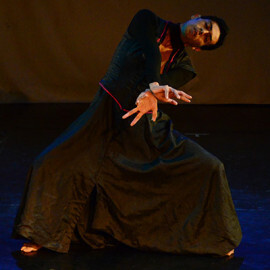 He is member of Nemian Danza escénica since 1998. She graduated with a Bachelors in Art History, French literature and Visual Arts from Rice University, Houston in 1977. Her studies in dance include: Ballet with Guillermo Maldonado, Horton with theJoyce Tristler Company, Ballet with Zinna Rommet, Nueva York (complemented with Pilates with Carola Trier) among others. She has participated in various performances with visual artists such as: Antonia Guerrero in Malintzin (with the Rockefeller grant), with photographer Gerardo Sutter. 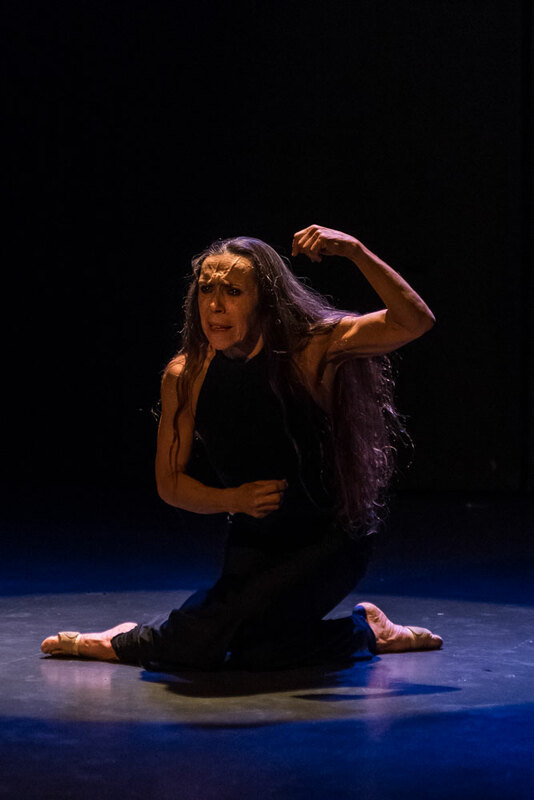 Her profesional and artistic activities include the following companies and groups: 1979- 1980 Taller Coreográfico, UNAM;1980- 1985 Danza Libre Universitaria Dir. Cristina Gallegos;1984- 1985 founding member of Metrópoli; Dir. Rodolfo Reyes,1985 -1990. Founding member of Contempodanza Dir Cecilia Lugo1990 -1992. Founding member of Homónimo Escénico Dir. Raymundo Becerril. 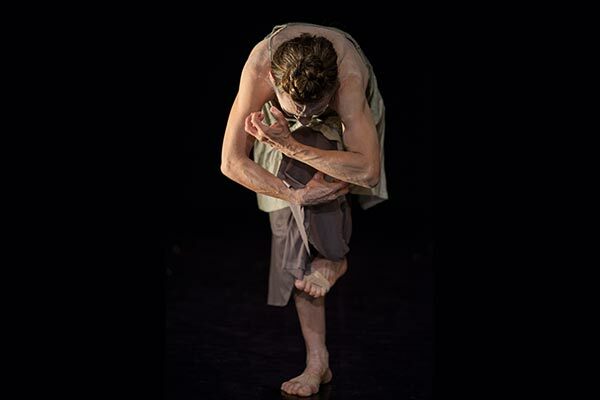 In 1993 she creates her own company Nemian Danza escénica. “Ahí Viene el Carro de la Muerte”by Oscar Ruvalcaba, “Under the Mother Tree” by Katsura Kan. Among her prizes and grants: 1993 Rockefeller (México – U.S.A ) for “Malitzin” , as choreographer, dancer and producer. 1993 the “Juanete de Oro” granted by DAMAC, 1994 FONCA for the founding of “Nemian”,1996 and1999 FONCA for Centro Cultura “Los Talleres”, 2004 Prize of VITARS as dancer, 2005- 2006 México en Escena, 2009 Premio Nacional “José Limón” for her choreographic trajectory. 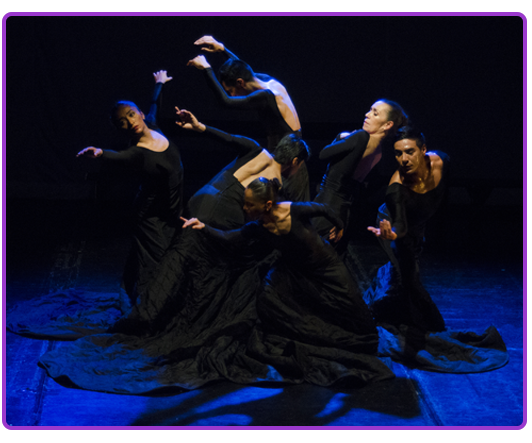 In 2016 the medal “Bellas Artes” for her contribution to dance and trajectory. Sistema Nacional de Creadores 2015-2017. 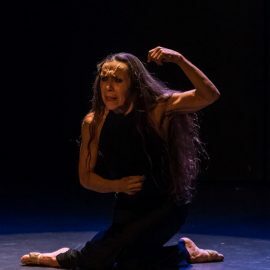 Her choreographic production is large and varied well as several formats.She is founder and director of Centro Cultural”Los Talleres”A.C.since 1981 and of the Company “Nemian Danza Escénica” since 1993. Eustorgio Guzmán earned his bachelors degree in psychology from the National University UNAM in the generation 1998-2003. In 2008 from the National System for profesional Dance INBA, with the specialty of modern dance at the “Nellie y Gloria Campobello”. He was member of the contemporary dance group “Animus Danza Contemporánea” of the School for advanced studies UNAM from 2002 a 2004. 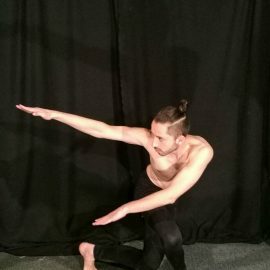 He is dancer of “Nemian Danza Contemporánea” since may 2006. 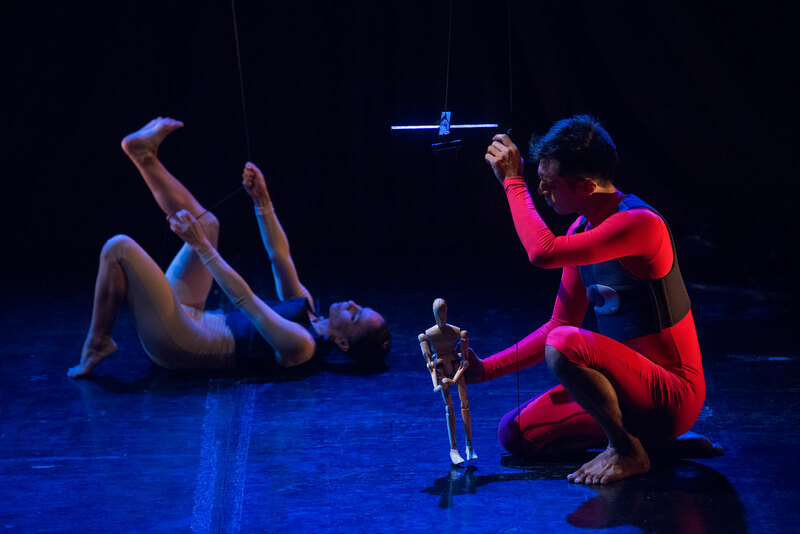 Some of his professional participations include: presentations in theaters, museums, schools, and in a variety of festivals such as: Expo 450 años de la UNAM, with the group ”Animus Danza contemporánea”. Palacio de Minería 2002. IV dance encounter at the Salón of Casa del Lago Chapultepec. 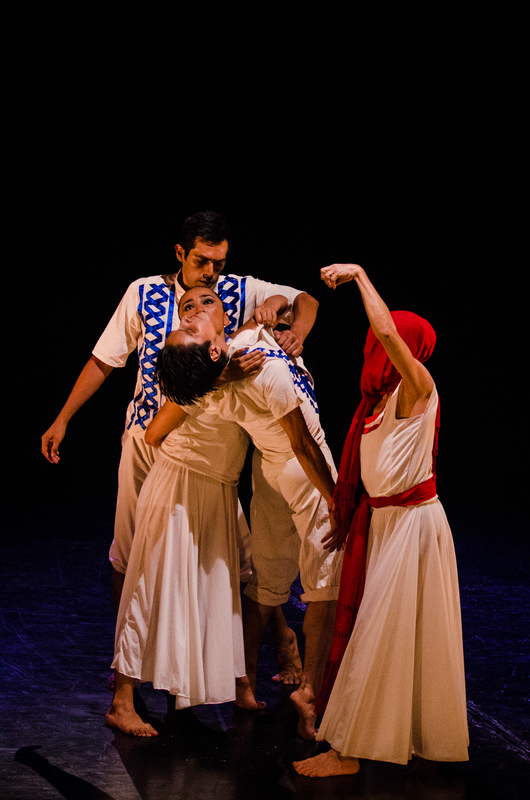 Some of his artistic and cultural activities at the National University (UNAM) are: Indigenous theatre Festival; the “Theatre workshop of the community of the region of the volcanos”. Encuentro of the Professional School of the INBA in the ISSSTE” 2005, XIII Festival of Dance in the Museums “ SHCP 2006. Festival of New Dance and New Music Teatro de la Ciudad 2007. Internacional Dance Festival “Red Serpiente”, Morelia Michoacán,2006. Internacional Festival “Rodará” in the Teatro Principal, Puebla 2007. He has toured with Nemian to Bogotá, Colombia, Ecuador (several cities), Germany. 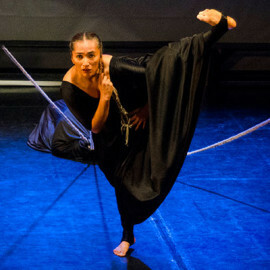 Co-founder and dancer de la compañía. Graduated from the National System for profesional Dance INBA, in modern dance 1991. Her studies include ballet, Graham, Limón, Falco, choreography, acting, body expression and music. Professionally she has worked with: Danza Libre Universitaria Dir. Cristina Gallegos, Compañía Oscar Ruvalcaba, Aksenti among others. She has worked in choreography with the following companies: Nemian Danza Escénica and Danza Libre Universitaria. She is currently member of Nemian Danza Escénica. With the company she has toured large parts of Mexico as well as many countries world wide. She has worked with visual artists such as photographer Francisco Kochen (with the FONCA grant), visual artist Alberto Castro Leñero, photographer Blanca Charolet among others. She teaches at the Escuela Nacional de Danza Nellie y Gloria Campobello. Among her grants and prizes are: 1989 from the Secretary of Public Education (SEP) for her professional studies in modern dance. 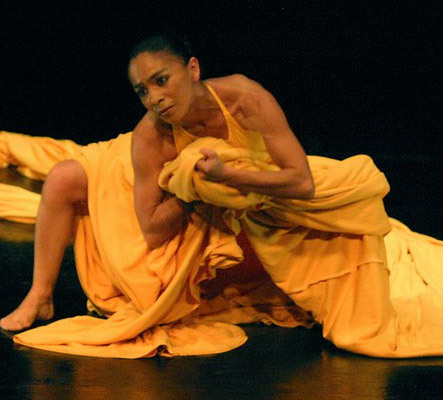 From the National Endowment for the Arts (FONCA) the years of 2001-2002 and 2004-2005 as a dancer.